You deserve the highest-quality contract manufacturing and packaging services every single time. This is why our industry-leading Quality System extends throughout the supply chain—from product receipt to final delivery—at every Multi-Pack Solutions™ facility. This ensures quality products and timely delivery you can count on. Complete traceability comes standard here, along with full EPA and FDA compliance. You also have access to our innovative in-house labs for verification and testing solutions. We have a proven track record of creating smart, go-to-market solutions—all supported by a robust Quality System. Superior Quality Systems and procedures for continuous improvement. We also adhere to a daily S.Q.D.I.P. System to drive excellence: Safety, Quality, Delivery, Inventory, Performance. Multi-Pack Solutions offers a one-stop shop for complete control. From our new validated walk-in Stability Chamber to our HPLC’s and GC’s and TOC Analyzer, we provide the in-house lab capabilities you need for accurate testing, validation and custom manufacturing, with fast results. And our wet chemistry capabilities (USP/NF & FCC) are unsurpassed in the industry. If we don’t have the proper equipment for your testing, in many cases we can procure it. With a microbiology lab on-site, what usually takes five days takes two days instead. This allows you to identify challenges earlier during testing and adjust accordingly. (We understand speed-to-market is imperative for our customers.) Plus, you are in complete control of the process. Multi-Pack Solutions can also make our own media for growth promotional testing and use vendor-supplied media as well. We can perform quality sampling for our compressed air system and surface & air sampling and testing. And we can identify microorganisms using gram staining, selective media, biochemical tests and our Biolog identification system for critical identifications. Multi-Pack Solutions is ISO 13485:2016 certified at our Greenville facility, which addresses the Medical Device directives, regulations and responsibilities, as well as demonstrates a commitment to safety and quality of the devices. We have also created a mature Quality Control and Quality Assurance department to ensure our products meet quality standards required by the FDA, ISO 13485:2016, and our customers. Because of this commitment to quality, our customers know they’re receiving quality products every time. One of our facilities is registered with the FDA and fully FDA compliant to FDA 21 CFR Part 11, 210, 211 for Drugs and 820 for Medical Devices. The FDA registered facilities have an excellent history with the FDA and are both very proud to share the details of past FDA Inspections with our customers and potential customers. Reliable FDA mixing, packaging and testing capabilities are not easy to find and we have the experience and Quality Programs you can trust to get the job done right every time. 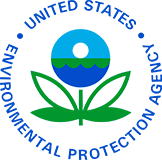 Two facilities are registered with the EPA and compliant with applicable regulations.